Growing up, this soup was a staple in our household. It is a very simple and basic soup and it was given the name ‘Soppa Tal-Gwerra’ (War Soup) by my dad but I do remember my mum calling it also ‘Toqlija’ (coming from the verb ‘Taqli’ which means to saute). I guess they called it that because it is made with very cheap everyday ingredients. It is however, very similar to our Maltese Kusksu. In fact she used to make this also with broad (fava/lima) beans when these were in season, and with the typical Kusksu pasta as well, which then turns it into our traditional Kusksu! powder, tomato puree, chilli if using and seasoning with salt and freshly ground pepper. Bring to a boil and then lower the heat and leave to simmer gently until the potatoes are very soft. parsley before serving. You can also serve it with some grated Parmesan if you wish. 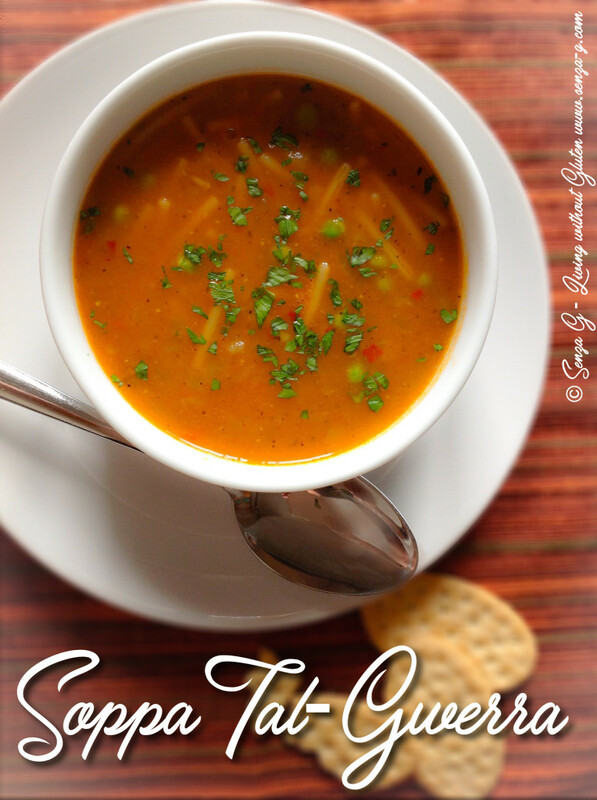 This soup tastes better the next day somehow – I just love it! Note – you can also swap the spaghetti with white or brown rice.